Just ahead of the weekend a Twitterer shared some leaked pictures of upcoming EVGA branded GeForce RTX 20 series liquid cooled graphics cards. 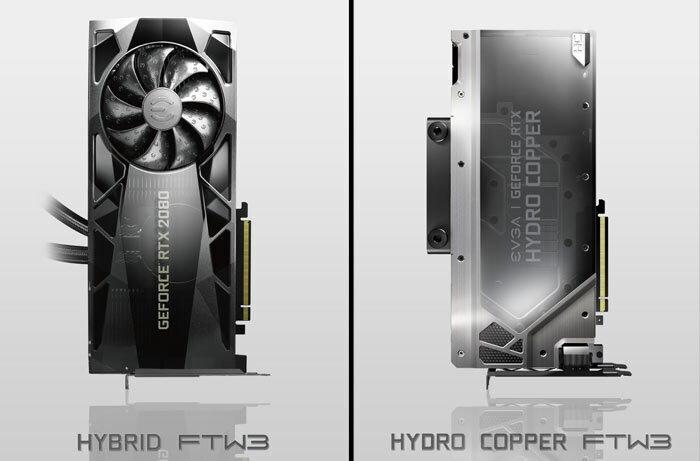 A few hours ago EVGA’s Jacob Freeman responded with some official renders of the Hybrid FTW3 and Hydro Copper FTW3 graphics cards. Shortly after the Nvidia RTX 20 series launch event we saw a host of partner cards launched, including a pile from EVGA, none of which were hybrid/liquid cooled examples. 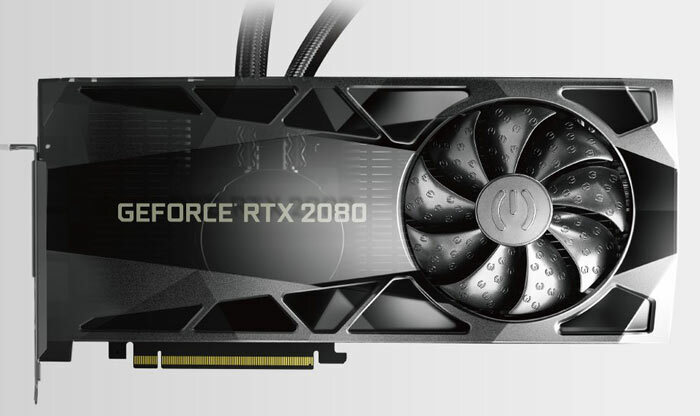 As noted in our roundup on 21st August, EVGA launched a comprehensive 16-strong lineup of GeForce RTX 2080 and RTX 2080 Ti gaming graphics cards but now we have the official word that there will be at several more on the way (RTX 2080 and RTX 2080 Ti versions of the Hybrid FTW3, Hydro Copper FTW3, Hybrid XC, and Hydro Copper XC). As you can likely tell from the pictures the Hybrid cards are AiO designs with a single fan on the card and pre-filled liquid loop going off to a radiator. This is EVGA’s own AiO design which is based upon Asetek gen6 hybrid technology. 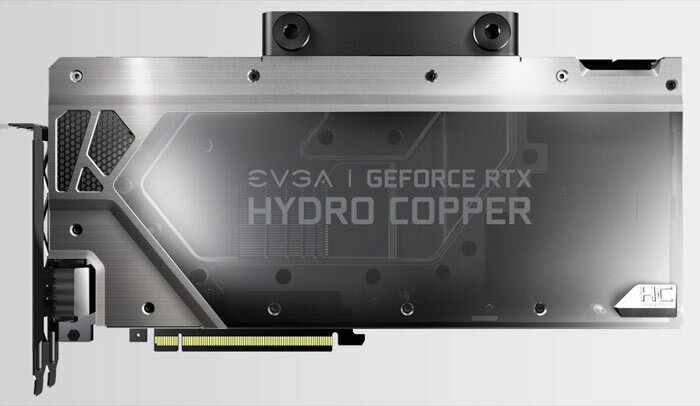 The Hydro Copper FTW3 and Hydro Copper XC feature custom water blocks with the former featuring a wider water block and the latter designed for a more compact PCB, reports VideoCardz. Last but not least there is a single fan blower EVGA RTX 20 model designed to fill an obvious gap in the lineup. Some people prefer this back exhaust design if their PC chassis is particularly compact or has little other ventilation/airflow possibilities. If other consumer graphics cards are not expensive enough for you, now you know where to look, for now at least. If you want to play games and need to splash cash to do it, try monopoly. You know seeing things like this, and knowing how excessively high priced they are going to be, you start to understand why PC sales are dropping while things like mobile phones and tablets are increasing…. Would be a fine statement.. if only gaming PC sales weren't increasing, rather than dropping, hitting an all time high in 2017 and predicted to increase a further 6% through to 2019. That can easily be attributed to increased prices not necessarily increased number of people buying stuff because that's a monetary value increase. You only have to look at the markup on gpu's due to crypto-mining, not to mention crypto-miners buying GPU's that could have skewed things quite heavily during that period. If it was a percentage based off of units sold I'd more inclined to change my original statement. That article was also written in 2017 BEFORE the crypto-miners moved on to using something other than gpu's. There are also links to more recent articles showing that pc shipments have gone down again on that very page….